We dug into the archives this week and found this lighthearted story, which first appeared on April 1, 2016. To the newly-arrived American airmen, Australia was a completely different world. Sailing across the Pacific on the USAT Ancon, the 3rd Bomb Group went up the Brisbane River in February 1942 and disembarked at Hamilton Wharf. When the men were allowed to explore their new surroundings, they were warmly greeted by the Australians. Still, changes in climate, currency, popular sports, and general culture were a lot to get used to in a short time. Some of the men tried to learn about cricket and rugby but neither sport really caught on with the Group. Twelve days after the 3rd reached Australia, it was ordered to head north to the small town of Charters Towers by March 7th. On March 8th, the 3rd got on trains and began a slow journey northward. Two days later, the 89th Squadron got off at Townsville to fulfill an assignment of servicing 40th Reconnaissance Squadron B-17s. The rest of the Group rode the remaining 70 miles to Charters Towers. Upon arrival, the men were taken to their campsite, which was nothing more than tall grass and a few trees. They spent their first night in Charters Towers under the stars. The next day, they began to put their camp area together. 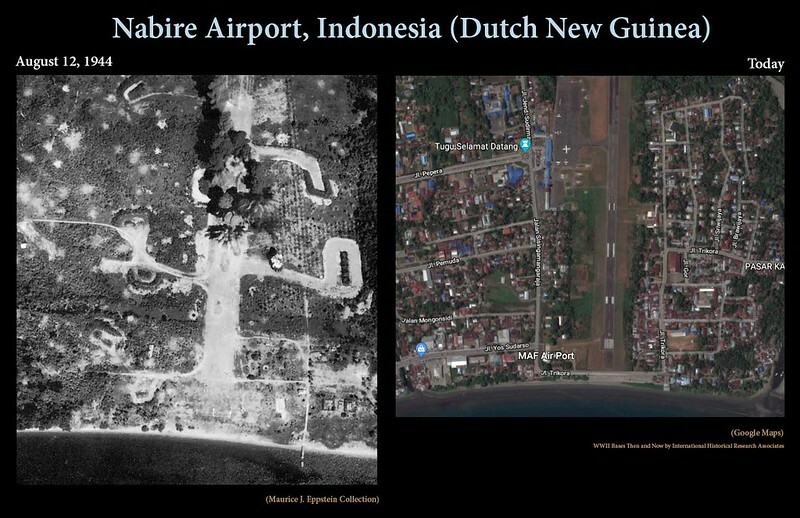 Not long after the camp was set up, the men pitched in to work on the new airstrips. Soon, they were given permission to go into the town itself and have a look around. For them, it was like stepping into an old Western film, complete with wooden sidewalks and bars with swinging doors. 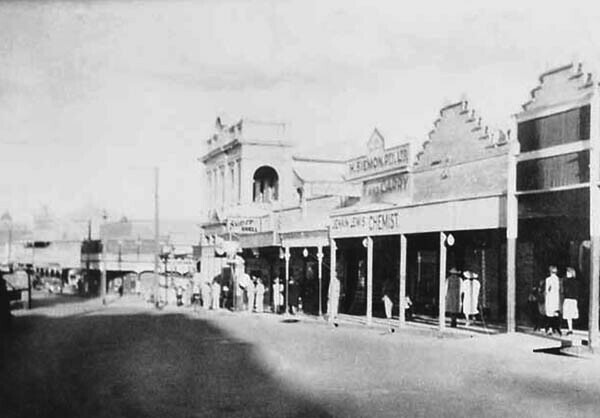 Charters Towers was certainly small, but it thrived due to its proximity to gold mines. With plans to set up a major air base, though, Charters Towers wouldn’t remain a small town for much longer. 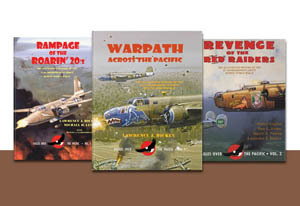 By June 1942, the 3rd Bomb Group was well-established in Australia. The men were flying more bombing and gunnery training missions, and their current space at the RAAF bombing range in Townsville was quickly becoming insufficient for their needs. The men searched for a new space that they could use for a range. Harold Chapman, a Charters Towers rancher, gave permission to the Group to use part of his cattle station for their practice. Chapman requested a day’s notice from the men whenever they needed to use the range. In turn, Chapman would round up his cattle so that they wouldn’t get shot. The Group would always send a few men to help Chapman round up his cattle. 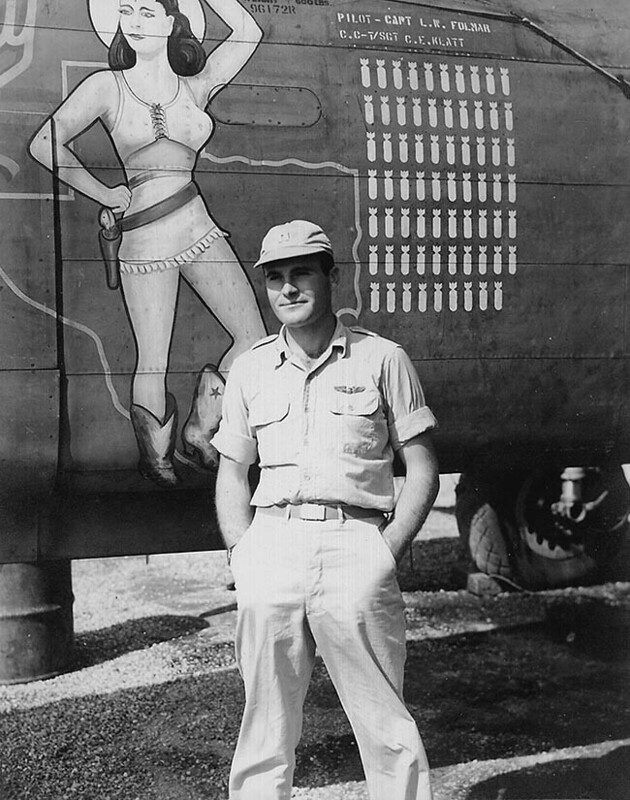 Private Charles Valade of the 13th Squadron soon developed a reputation as quite a cowhand. During one unfortunate training mission, “Pappy” Gunn reportedly shot and killed a cow by accident with .50-caliber ammo. He had to paid Chapman five pounds as a reimbursement. For the most part, using Chapman’s range for training proved to be extremely valuable for the combat crews. 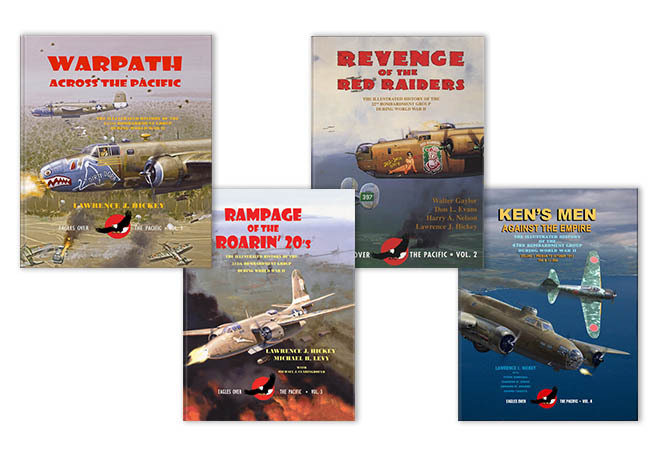 While our book Rampage of the Roarin’ 20’s doesn’t have as many long stories as some of our other books, there are a lot of great short stories sprinkled throughout the 312th Bomb Group’s history. We picked out three of them to help you get to know the 312th better. Theodore R. Tanner, a pilot in the 386th Squadron, flew more than 70 missions during his service in the Pacific Theater. Oddly enough, none of them were the reason behind him being awarded the Bronze Star in 1944. Instead, the award came out of an idea that changed combat photography. There were problems with combat photography on an A-20: it took about half a day to install the combat camera in the tail, which meant crews could only load film during the day (potentially degrading the film’s quality) and the alternate camera location of the engine nacelle was too shaky to allow for decent photography. Tanner designed a new mount in the lower tunnel hatch of the A-20 that had a bracket which could clear the lower gunner’s door and fold in place during a flight. This mount allowed ground crews to install or remove cameras in five seconds and remove the camera film at night. Once V Bomber Command heard about Tanner’s innovative design, he was awarded his Bronze Star and his new mount became part of the light bomber’s standard equipment. First Lieutenant Larry Folmar was flying a mission at But on April 26, 1944, when he had an unusual close call during a bombing run. The bombs used by the A-20s on this day were 500 pounds each and set with one-second delay fuses. Given the short delay, pilots had to be very careful to maintain their distance from each other so they wouldn’t end up flying into a bomb blast. This time, Folmar got caught by a blast of mud from a bomb dropped by the preceding aircraft. The mud coated Folmar’s windshield, making it impossible for him to see what was ahead of him. While wondering how he was going to land when he returned home, Folmar had an idea. 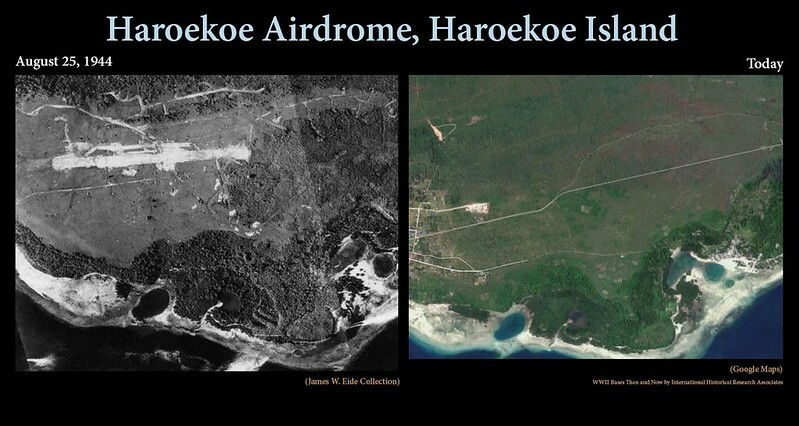 He wrote, “I then remembered that the far end of the landing strip we were hitting was at the coastline. It occurred to me that one of the planes ahead might, just might, skip a bomb off into the water, causing a blast of sea water that I might fly through. As I live and breathe that is what happened.” While the spray wasn’t enough to completely clear his windshield, it was enough to get home and land safely. Once in a while, members of the ground crews were granted permission to fly with pilots on their missions. One day in June 1944, T/Sgt. George K. Hanks, Jr. rode along with 1/Lt. 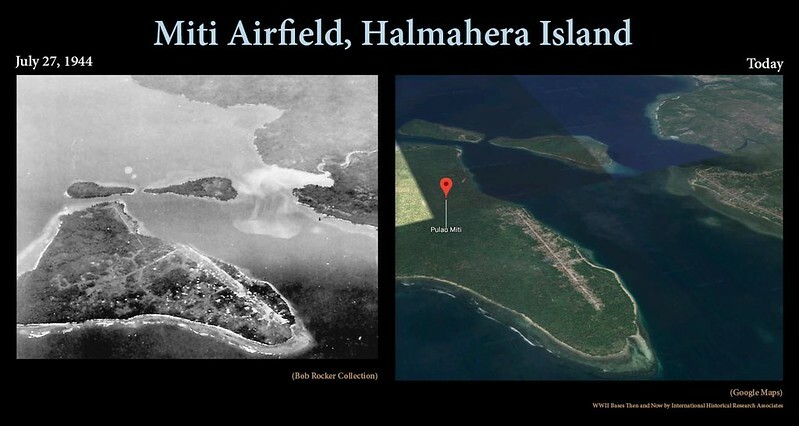 Robert C. Smith on a mission to a Japanese escape route behind Madang. Hanks decided to bring along his own bomb, a large rock, for Smith to release once they were over the target area. Hanks’ contribution wasn’t the only odd object dropped on the Japanese. Captain Peter J. Horan, an Australian Liaison Officer from the 389th Squadron, took his own “Bring Your Own Bomb” approach by unloading nails, grenades, books and rocks, among other things, on the targets below. Although he wasn’t a member of an aircrew, Mathew Gac of the 38th Bomb Group saw many raids through the lenses of cameras on his group’s aircraft. He frequently wrote in his diary about day-to-day life working in the photo department and we wanted to share three of them with you this week. Still a tired fellow this morning with a lot on my mind and a lot of work to do alone. Another mission today. 405th to support the big push around Salamaua. Finished overhauling a K-17 and then had to take V.R. 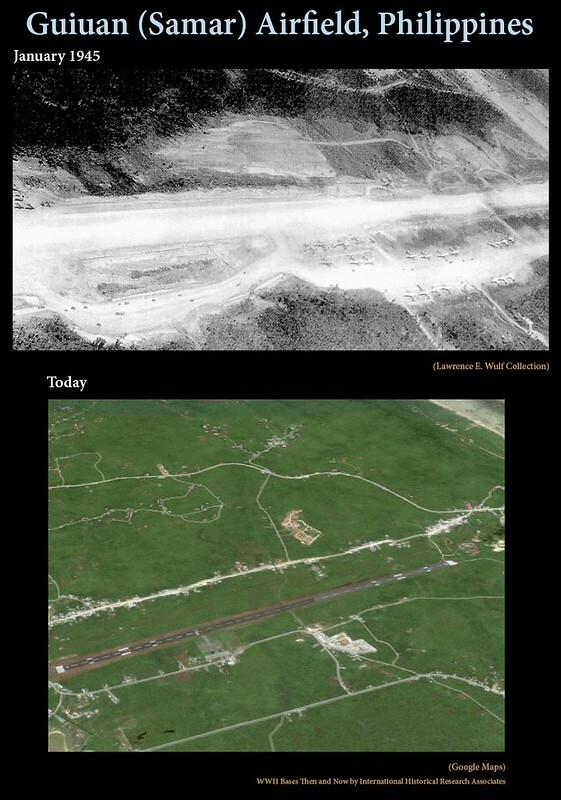 shots of a 499 wrecked B-25 [#41-30028 “BLUNDER-BUS,” see pp. 32-33 of Warpath Across the Pacific] at the end of the runway in the stream. 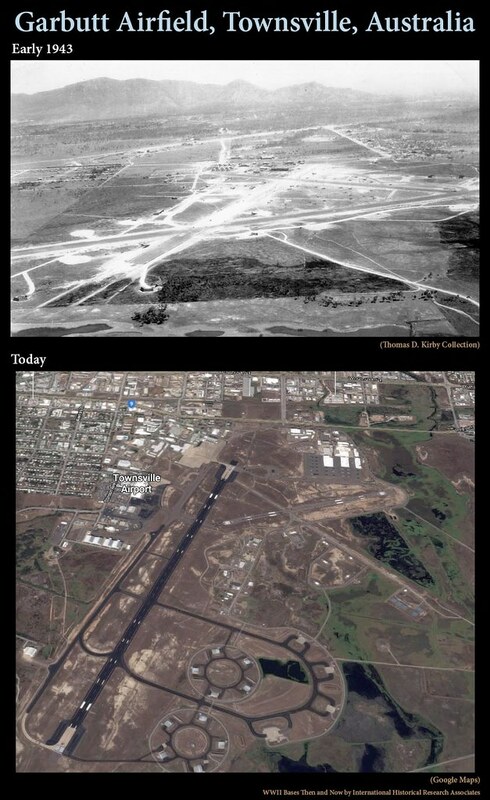 Could not take off, no bombs exploded. Luckily 4 men walked out and the other was carried out hurt. In the P.M. started to make a special mount for the K-21 camera. Went down to the Service Sqdn but got no satisfaction, nothing so I am going to make a wooden model and try it out. The mission came back 1 P.M. then a lot of work again developing at printing got finished 7:30 P.M. Photos not so good on account of the bad weather. Rumours we must have 24 months overseas before going home. 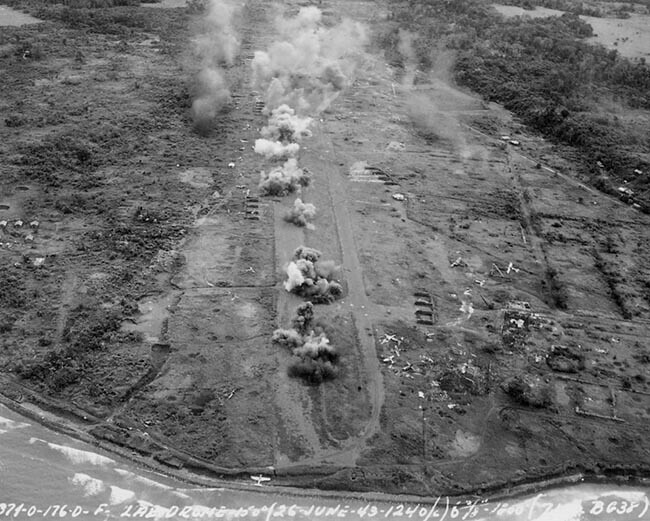 This photo, taken on a mission to Lae on June 26, 1943, is an example of the photos that could only be taken with cameras installed in an aircraft’s belly. Another tired feeling after yesterday’s busy day. It was very damp and cool as this A.M.s short rain was the first for a while. Another mission today 405th in the Mubo area again. Working on a new setup for the K-21. A box where the camera can be slung along underneath the camera hatch and shoot backwards. Went down to the line for parts but the tin smith was busy, so Amos and I worked on the other idea of attaching the mirror arrangement to the K-17 cone. Did not finish as it started to rain very hard. Thank goodness we have a good tent and all the equipment is dry for a change. It was quite damp and wet this morning as it rained hard last night. Went down to the line to try the new setup of the mirror idea. Worked on it with Amos and got it fixed O.K. Though the setup looks peculiar and the mirror is half inside the plane the angle is greater and it looks O.K. in focal plane. The plane was tested and so was my setup and it turned out O.K. Almost 100% coverage. Lt Salome liked it and now I’ll have to change all the other plane setups, 14 in all. Worked for a while on the K-17 for the mirror attachments. Got new camera cones for K-17s. Will have a lot more work now.